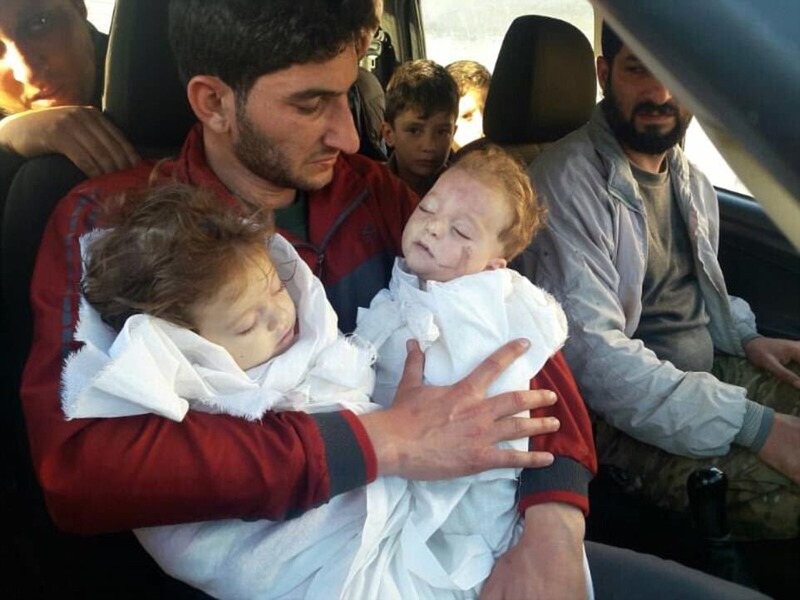 A father of twin toddlers killed in the Syrian chemical gas attacks has asked the media to share the photographs of their dead bodies. Abdul Hamid Youssef hopes the heart-breaking image depicting him cradling his two children, Ahmed and Aiya, will shake the world into action. 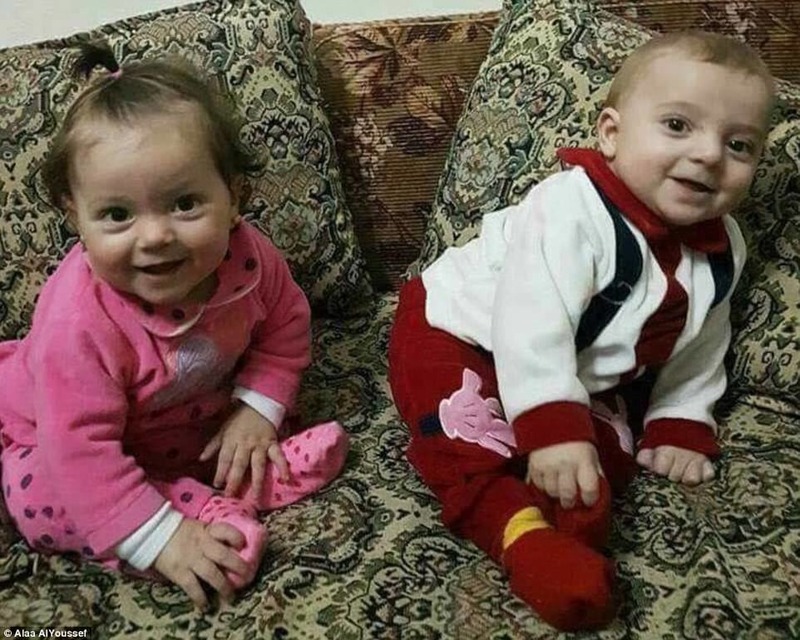 The toddlers were killed during the chemical ‘sarin gas’ attack in Khan Sheikhoun, in the rebel-held central province of Idlib, Syria. Youssef lost 20 family members in the attack. He is himself believed to be seriously ill and suffering from chemical exposure after the strike, which hit on Tuesday. 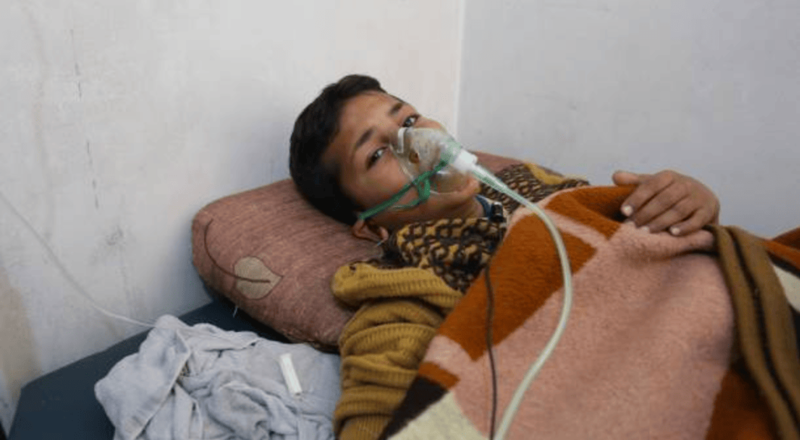 The death toll currently stands at 72 civilians, most of whom are children or the elderly, whose lungs could not withstand the attack, believed to have been caused by the nerve agent sarin. Russia’s defence ministry blamed the deaths on Syrian government air strikes, which they claim caused gas to leak from a rebel chemical weapons depot. The United States and British Foreign Secretary Boris Johnson have pointed the finger at Syrian President Bashar al-Assad’s regime. The UN Security Council held an emergency meeting in Brussels on Wednesday in response to the chemical strike, attended by officials from 70 nations. Meanwhile, in Khan Seikhoun, doctors are treating victims in makeshift hospitals who are showing signs of sarin poisoning. Patients are said to be foaming at the mouth, experiencing breathing difficulties and limp bodies. Many daughters and sons have already been lost, just like Aiya and Ahmed. A humanitarian crisis on this scale is hard to fathom. The images of innocent bodies piled high show the magnitude of the massacre. We simply can’t look away.